Whether you are a prospective student, current student, or faculty or staff member at Xavier University, this online catalog is a powerful tool to help you quickly locate information regarding Xavier’s programs, courses, policies, and procedures. 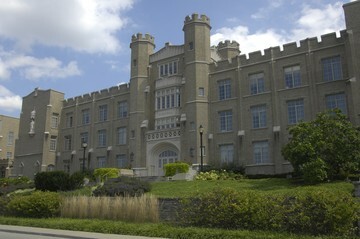 The Xavier University Undergraduate and Graduate Catalog is the official source of the university’s academic programs, policies, and procedures. It is published annually by the Office of the Registrar. The 2018-2019 edition includes academic and programmatic requirements for students entering the university during the fall 2018, spring 2019, and summer 2019 semesters. Although every effort is made to ensure the accuracy and currency of its contents, this catalog is not intended to state contractual terms and should not be regarded as a contract between the student and the institution. Choose the Archived Catalogs link in the navigation bar to access previous editions of the catalog. By clicking on the “Add to Folder” link on any program, course, or policy, you can store information that is important to you. Register your own password to save your info, then return later to the My Folder link in the navigation bar, and start where you left off.